Noble Master Developer's Blog » Miner Brigade Released! 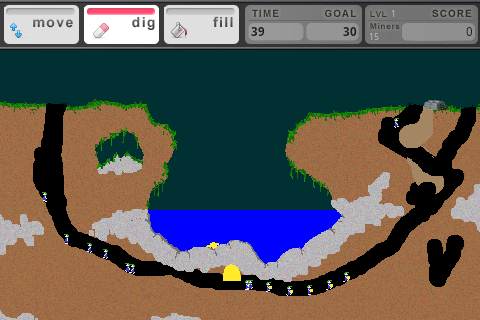 The full version of Miner Brigade (MB) has finally been released for iPhone, iPod Touch and the Android operating system. The full version of the game is available in both the iTunes Store and Android Market for US$2.99. There is a free “Lite” version with 10 levels for tryout before purchase.